at 7pm as we learn more about the good works being done at Restoration House and the efforts to combat human trafficking. 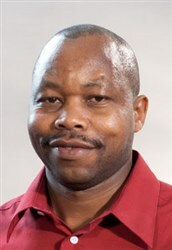 Staff Parish is pleased to announce that our new pastor is Ezekiel Koech. Ezekiel began his faith journey in Kenya, and has faithfully followed God where he has been led, including Nebraska and most recently Russell, Kansas. As Pastor Koech says “God kinda opened up and expanded my worldview. I realized I could minister anywhere”. Pastor Koech joins us with his wife, Alice, also a pastor, and their three children, Roy, Abigail, and Zach. We are excited to welcome them into our church family on July 1st. Please join us in being in prayer for them. Staff Parish is pleased to introduce Trudi as our new office assistant. She will be replacing Charity in the office. Trudi joins us after 20 years with the City of Lenexa. Please join us in welcoming Trudi next week as our newest office member. The annual LUMY Chili Auction is fast approaching! Mark your calendars for Sunday, March 3rd, immediately following the 10:30 service. The youth will be serving up chili, hot dogs, chili dogs, and baked potatoes for $5 a serving. Then the fun begins with our AUCTION! Lots of great stuff, including Buy It Now pricing. Can’t stay? No problem – To-Go will be available! Do you have something you would like to see in Crosslinks? Crosslinks is a great way to get information about your activity, event, or class out to our members. Please e-mail Charity at charity.becker@lenexaumc.org with your article and date(s) you would like to have it run. Crosslinks is sent every Tuesday.